2. Theme of CRISIS CORE "Successor"
14. Theme of CRISIS CORE "Under the Apple Tree"
21. Theme of CRISIS CORE "Scars of Friendship"
24. Theme of CRISIS CORE "With Pride"
29. Theme of CRISIS CORE "Truth Behind the Project"
4. Theme of CRISIS CORE "To a New Post"
13. 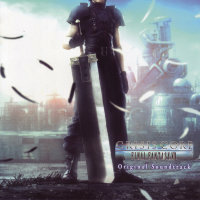 Theme of CRISIS CORE "Chaotic Battlefield"